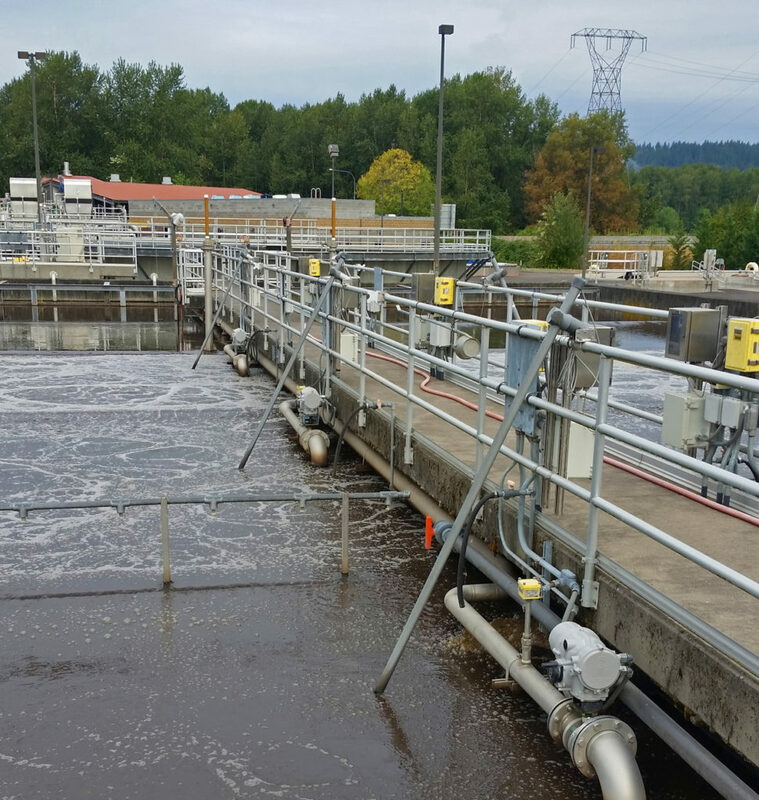 In early 2015, OCD Automation was tasked with renovating wastewater aeration basins for an energy savings project in Camas, WA. The client had been operating all aeration basin air valves manually and could not get the plant to reliably run in automatic mode. The valves were controlled by a proprietary Rotork Pakscan controller out of an Allen-Bradley CompactLogix PLC, but passed data through a Red Lion converter, which finally passed data to a Modicon PLC. The Modicon PLC then communicated with the Pakscan unit by Modbus RTU to control the valves over the Rotork RS485 valve network… After reviewing this needlessly complex network, we made several changes to improve the integrity of this system. The valve position command was changed to a 4-20 mA signal. This freed up the existing Pakscan network wiring, which was repurposed as a Modbus RTU network. Schneider Advantys/OTB Modbus I/O was installed in a new enclosure at each of the ten valves. This allowed for position feedback, which would let an operator know that a position command executed properly. These remote I/O panels are also expandable, allowing more analog and discrete signals to be added in the future. The Modicon PLC now has full, reliable control of the valves formerly on the Pakscan network. The Red Lion converter had proven unreliable for connecting the Modicon and Allen-Bradley PLCs, so the Modicon CPU was upgraded to phase out the converter entirely and allow Ethernet communications directly with the CompactLogix. The only configuration necessary was an entry in the I/O portion of the Logix CPU to share data between processors. The WonderWare software originally had no connection to the CompactLogix and only received limited data from the Modicon PLC. By integrating the CompactLogix PLC into the WonderWare system, it was possible to add full supervisory control for the aeration basins.The client can now change any control point, timer, or setting for the system, and the plant is now running fully in auto.